Gone are the days when the cows were enclosed within a pen to restrain their movement. Now, the cows are set free to wander freely at the farm unless they’re brought inside the milking area for milking. Milking is no more a manual, backbreaking job; it is done automatically without human involvement. When the cows find the need to empty their udder, they walk and stand in front of the milking robot at the milking stall. The robot recognizes the cow by an electronic chip affixed on its collar (on a wearable) to determine if it was milked in the last few hours. The robotic devices alleviate the dairy farmers’ workload by helping farmers drop food on the pen floor, push silage along the corridor for continuous feed availability, and feed calves at the milking barn. The automation trend has kicked off since nearly a decade, and we see over a hundred farms switching to robotic devices like milking robots every year. Wherein the other industries, automation is replacing human workforce; the dairy sector will prove distinctive by enabling the aging milk producers reduce physical labor and encourage the younger generation to take up careers in the dairy industry. Dairy farming, like any other subsidiary of agriculture, is a family tradition that persists across generations and has a history of its own. However, in the recent years, it is observed that the family strength has been shrinking, and with fewer children often pursuing careers outside farming. Hence, there’s a need to draw them and young people to take over the family-run farming business, which can be sufficed using technology to incite their interest in farming. Capitalizing on technology can allow farmers to save hours which can be utilized in taking better care of the cows, their nutrition, and overall well-being. People tend to get more involved in the dairy sector, given the flexibility in working schedule ensued as the robots take over the routine chore. The robotic milking has drastically affected the overall herd management at the farm. Earlier, the farmers had to monitor their cows and manually record their health data daily. Now, the milking robots automatically record cows’ information like daily milk produce, body temperature, weight, and udder condition. All the data is passed on to the farmer’s smartphone. This helps the farmer to analyze herd health and take appropriate actions in advance, in turn, improving animal health, reducing veterinary costs, and aiding breeding. Besides, the robotic milking system permits milking cows thrice a day instead of twice as followed traditionally, thereby, increasing the milk production (by 50%) per animal. However, a complication that the companies manufacturing these robots may be facing is the shortage of skilled workers for installation, maintenance, and restoration of robotic systems. Their job requires physical fitness apart from carrying know-how in subjects like computers, machinery, electricity, and plumbing. The farms and the companies need the same qualified people; raising the competition as well as the scarcity. The younger generation is used to computers, and they want everything to be as digitized and automatic as it can be. The robotic milking systems not only save them from doing the painstaking labor but also, improve the farm production and profits. It is essential to encourage the younger and future generation to continue the family farm by employing such systems and machines that can ease and quicken the routine activities, sparing enough time for them to enjoy the time doing what they like. 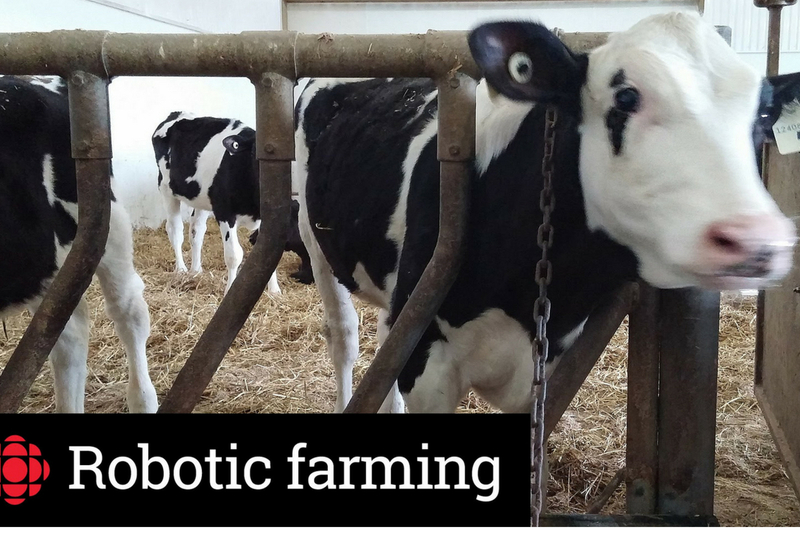 Have you employed a robotic milking system yet? Or an efficient animal husbandry software to manage your herd? If not, check out our dairy herd management software to learn more.